Ahhh Spring! It seems it's finally coming around - even tho right now it is kind of cold in the morning where I am. I just froze my little toes off taking the dog out! 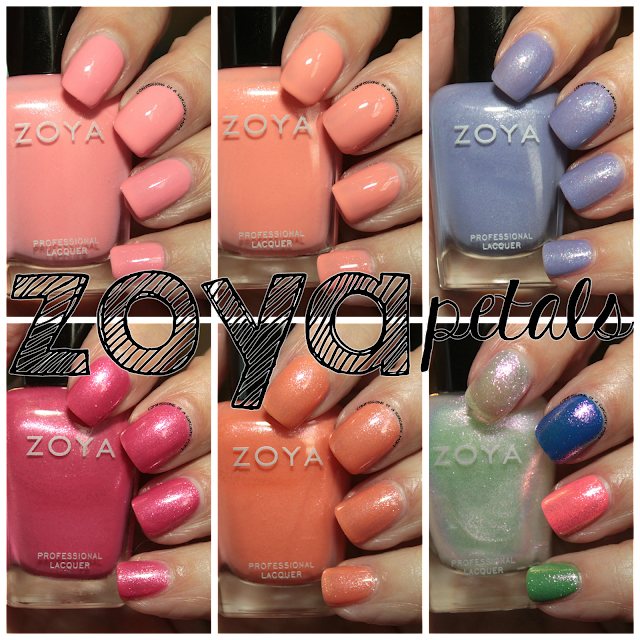 But with Spring comes soft, delicate polish collections, much like the Zoya Petals collection! 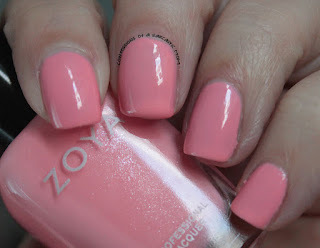 We'll kick this off with Laurel, a warm-toned pink creme that has the slightest bit of shimmer if you hold it just right. It's so subtle! 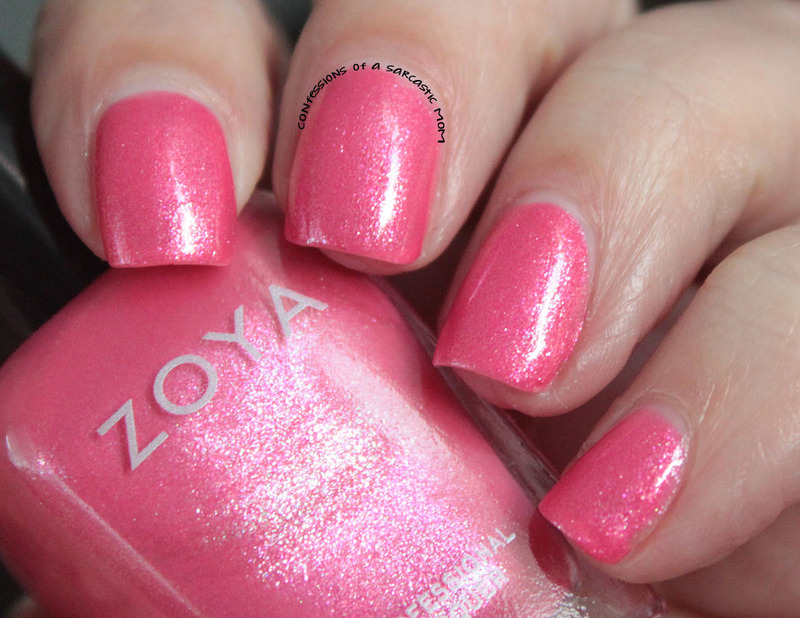 The formula on this one is really nice, and what you see is 2 coats. All swatches in this post are one with artificial light, and one with natural indoor light. I wish I could have used sunlight, but lately, that's been in short supply here. We've had a lot of overcast blustery days. 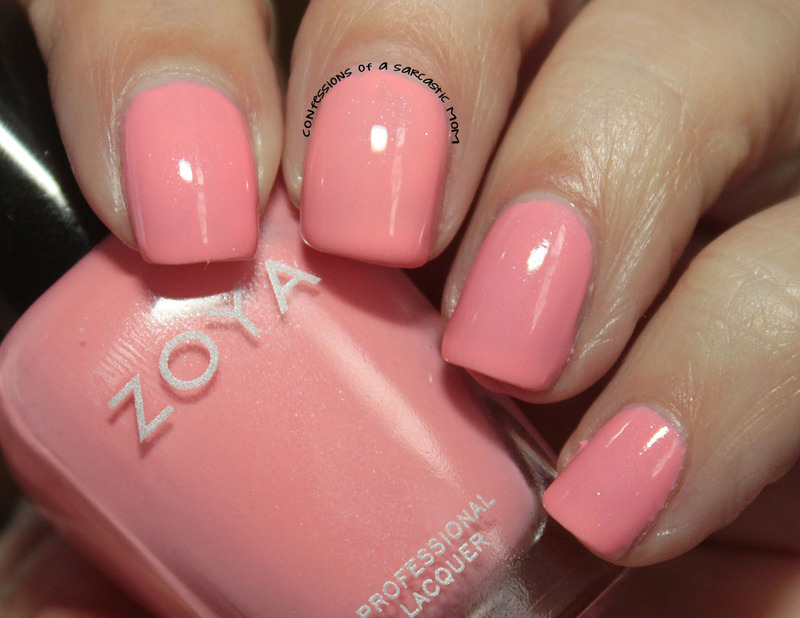 Tulip is a salmon-esque creme polish. The very slight shimmer kind of looks like dew on petals. Pictured below is 2 very thin coats, and the formula was nice. I had some trouble with Aster. This is a periwinkle shade with fuchsia flecks. Unfortunately, I found the formula rather watery and a bit hard to control. Pictured is 3 thin, very thin coats. Much like Aster, I found Azalea watery and difficult to maneuver around the nail. Pictured is 2 thin coats. I found that when I tried a third, it just made it worse. 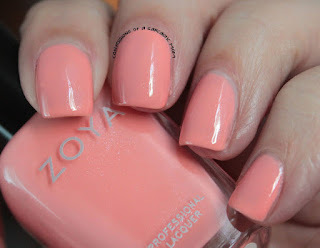 Zahara's formula was a bit better than the previous two, it stayed in place a little better. and it wasn't so watery. 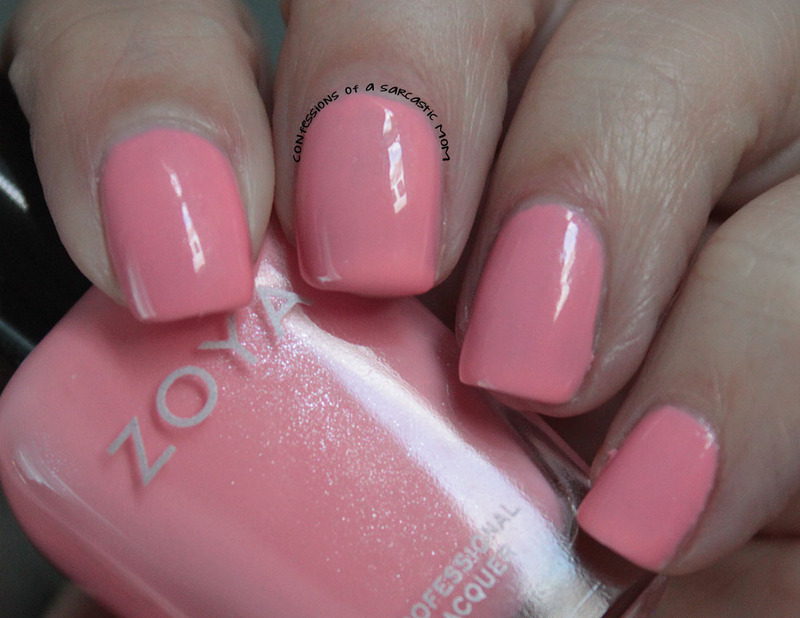 Pictured is 3 thin coats, and it's such a pretty coral shade! Leia is a very pretty shimmery topper. I decided to try it a few different ways - on its own, over blue, over pink and over green. I think I like it best over blue. It really stands out over that shade. On it's own, be aware that it's very sheer. Will you be picking any of them up? 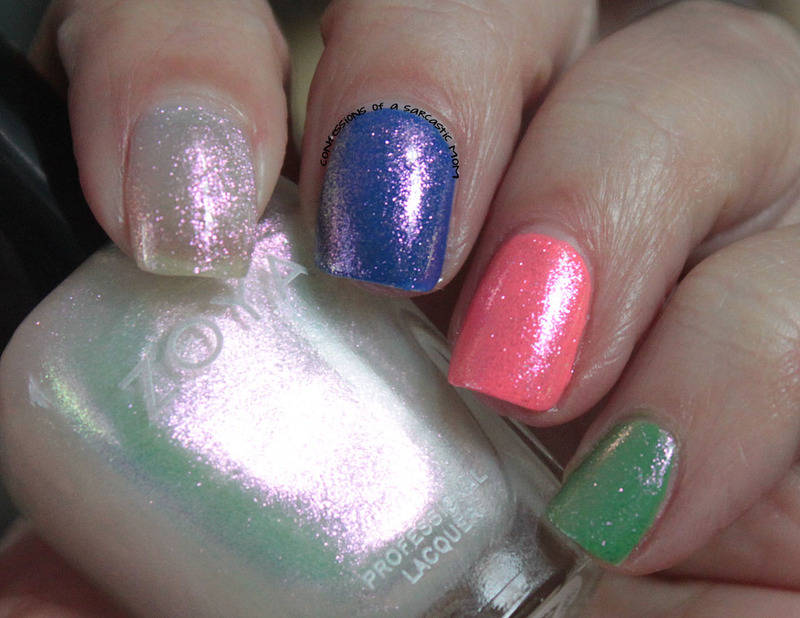 You can purchase these from the Zoya website. 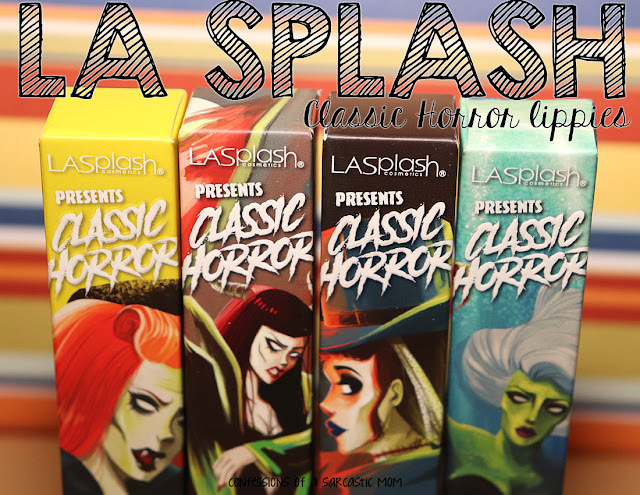 Price is $10 each, or you can purchase them as a set for $60.